Attendees will be directed to your personal gallery where they will view works that you and BHA has agreed to offer for sale. The sales checkout process will happen direct from the show the customer sales order will be forwarded to you via email for drop shipment. And there is no set up and breakdown involved, We will require you to simply to us a bio, headshot, high resolution photos of your images and commit to promoting the show on your social media outlets starting May 15, 2019 and committing to hosting at least one facebook live the last weekend in June, 2019 to promote your exhibition. All participants are required to make this commitment. 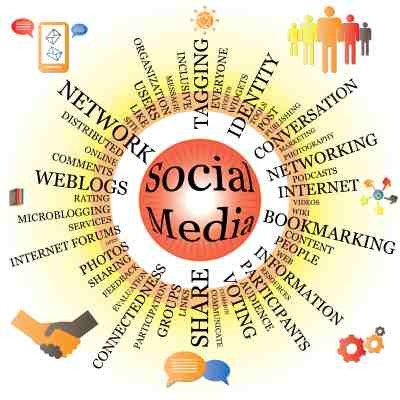 You and your works will benefit from the world-wide online marketing ad campaign using the facebook, twitter and Instagram ad platforms. With today’s competitive market landscape, artists, authors and coaches cannot just promote on their own and be successful. Rather they must reach out to build a seamless integrated channel marketplace where every stakeholder is a vital component of their ongoing collaborative marketing synergy and success. Black heritage Art Show all-in-1 virtual event marketplace offers a seamless integration with every stakeholder’s digital marketing channel. The traditional trade show has become obsolete. A new ongoing virtual trade show marketplace with live and on-demand engaging capabilities has become a critical success factor for every company and organization for maximum marketing ROI and a long-term sustainable customer loyalty. ​ Work shops, Book Reviews, Music Listenings or even a concert! – Hollywood celebrities have been a big fan for live streaming with both live fans and virtual fans all enjoying the music concert in one single place. Conventional wisdom shows that live streaming doesn’t keep people from attending, either. Increasingly, major music festivals and workshop presenters regularly stream live performances, and as the technology becomes more accessible and less expensive, we can expect smaller venues and events to do the same. You will have the option of uploading a pre-screened performance in the auditorium or use facebook-live, google hangout or periscope right from a virtual booth should you desire to sell cd's, books or other merchandise. THE REGISTRATION PROCESS: Applicants should register utilizing the form below candidates must submit, a $25 non refundable- administrative fee will be required at the time of application for consideration of participation in the show and setup of your virtual gallery space . Your participating administrative fee includes the custom development of your virtual gallery from our team; artist participation photo/link and short bio on the Black Heritage Art Show Home page starting January 1, 2018. In addition to the administrative fee visual artist will be required to pay 30% commission on all sales made through the Virtual Art Show portal. Literary/performing artists and workshop presenters electing to participate will be required to submit a $25 non refundable application fee; You will also have the ability to utilize google hangout to perform a workshop, and or performing arts performance. As part of the participating agreement, All artists will be required to promote their acceptance and appearance as a participating artist on all of their social media outlets including: Facebook, Twitter, Instagram and or Youtube at least once a week starting January 1, 2019. Participating exhibitors will be offered a social media guide and scripts to help them with the promotion period. This is not an option, but a mandate for all participating artists. Our team will be monitoring participating exhibitors websites to ensure this is guideline is being met, failure to promote your appearance in the show will result in removal of of your participation and all likeness in the February 2019 art show. show. Each participating visual artist must also create one "Welcome to my Gallery Video" that will be played once an attendee visits your space. It will help attendees get to know you better and will simulate the same as if you were at a live show. Don't worry our team will help you every step of the way in creating and forwarding this video to us to place in your exquisite virtual gallery. Each participant, upon confirmation of participation, will be offered a step by step pre event social media ad campaign guide that will be begin in collaboration with other show participants. This guide will show you how to create you tube videos, Facebook and Instagram post that drive people to your gallery space for sneak peaks and opportunities to purchase even before the show begins. We will limit the number of gallery spaces and all applications will be processed in the order by which the application was received. We will notify all applicants of approval within 10 days of receipt of application. All participating artists will have 5 business days to respond and secure their virtual gallery space. We do expect to sell out of this opportunity soon so don't delay in submitting your registration in to begin the screening process, no money is due at the time of registration. Performing Artist Process: Performing Artists including (dance and vocal) are asked to complete and submit the registration form below upload a video of their performance onto YOU Tube and post the link under the Describe yourself section on the application. This category is extremely competitive, hence, use the Describe Yourself section to communicate to us why you feel that your talent is really a "Diamond in the Ruff". Feel free to email to us your head-shots and any additional biographical information that you feel will help in our decision process to: gboone@blackheritageartshow.com please indicate your name and the date of your electronic application in the E-mail. Please note that your information will not be reviewed without a completed online application and application fee paid. While it is not mandatory that you be a seasoned performing artist to participate it is very important that you are able to articulate your desire and passion for the arts. ​Note upon acceptance into the show as a performing artist/group. Shelf space to sell your latest projects will be made available to you from Show's book store. gboone@blackheritageartshow.com While it is not mandatory that you be a seasoned Literary artist to participate it is very important that you are able to articulate your desire and passion for the topic you wish to present. Please indicate your name and the date of your electronic application in the E-mail. Please note that your information will not be reviewed and or considered without a completed online application. Also, if accepted as a program participant an administrative/promotional fee of $25 will be charged for participation in the show and shelf space offered in the BHA Book store to sell your products. Authors further agree to pay BHVS 5% commission on all book sales. The sales process will be handled direct from the show's book store and customer orders forwarded to you for drop shipment. 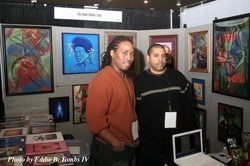 The Black Heritage Art Show Virtual Style will fuse Lifestyle components into in its virtual auditorium. Thus we are seeking to Motivational Speakers/Inspirational and Workshop Presenters the opportunity to conduct workshops and seminars. If you have a topic relating to Finance, Health, Fitness or Spiritual Development and Empowerment and would like to become a participant in this revolutionary show , complete the registration form, and provide a synopsis of your proposed topic of discussion in the Describe Yourself section of the application form. Feel free to email to us your headshots and any additional biographical information that you feel will help in our decision process to: gboone@blackheritageartshow.com as it is imperative that you are able to communicate to us that you are an expert in the proposed topic of discussion. A Non Refundable administrative fee of $25 is required for this category which will include promotion of your workshop/topic and shelf spaces to market your products beyond your time in the auditorium and during the 30 Day exhibition. If you do not have a website address please post Facebook and or Instagram address.